Vacheron Constantin diamond set flip-top watch. 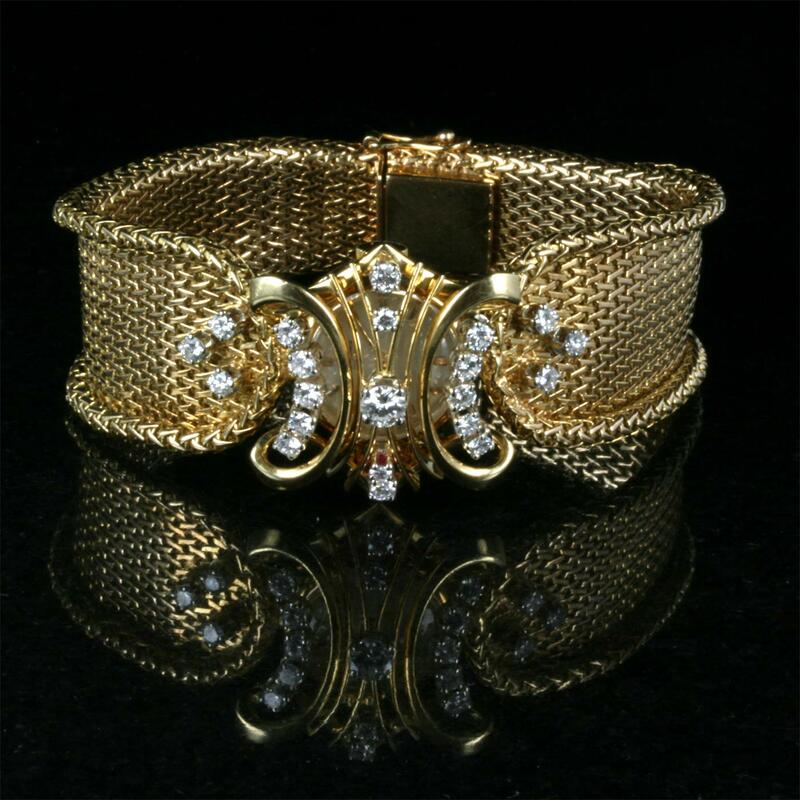 Product code: 1460 Categories: Sold Items, Sold Watches. Vacheron Constantin are one of the finest watch companies around, andhave always produced the very finest quality timepieces, and this ladies Vacheron Constantin watch is certainly no exception. 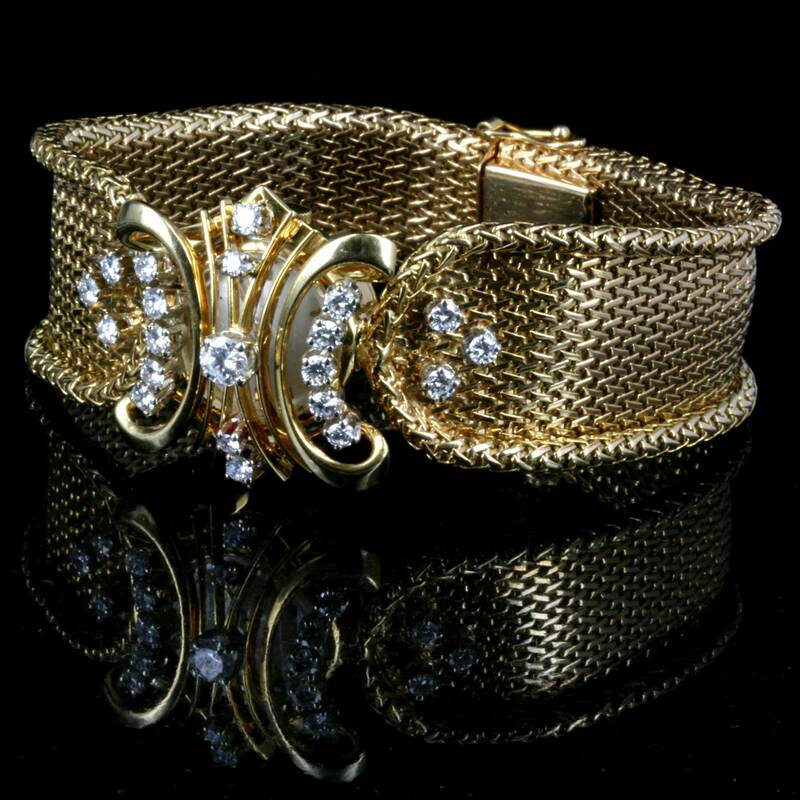 Made from end to end in solid 18ct yellow gold, the mesh style of the bracelet feels so elegant and fine on the wrist, and leads so elegangtly to the watch itself. Of course it now is displayedwhen the top diamond set hinge is opened, making this “secret” watch so rare and unique. 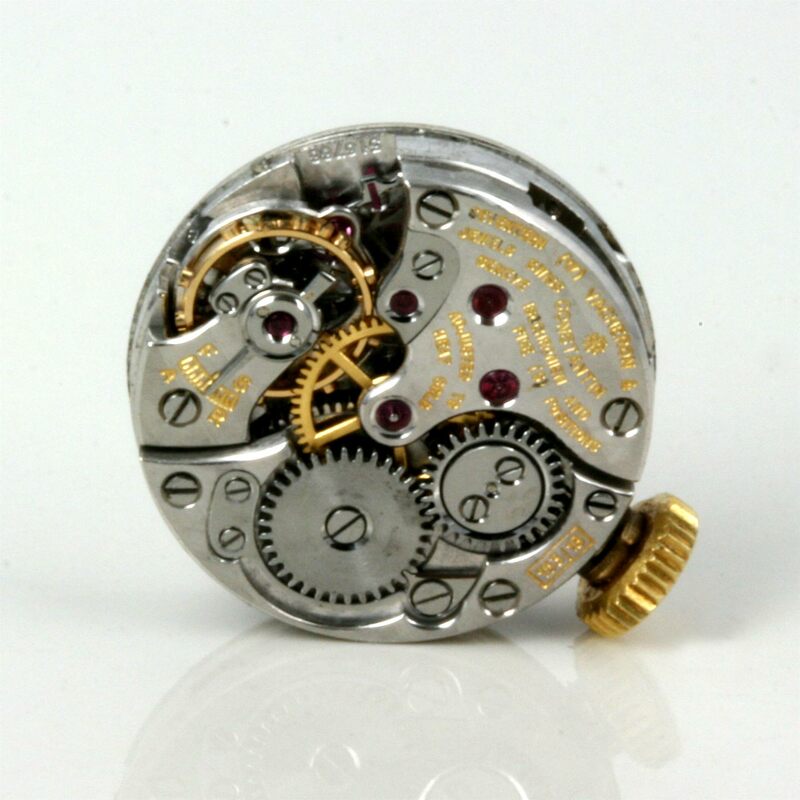 Secret watches are always difficult to find, and one by one of the finest watch makers in the world is truly exciting. The 21 diamonds total 1.45 carats, and add the right amount of sparkle and elegance to the watch. Inside is a fully jewelled manual wind Vacheron Constantin calibre 153/18 which has been fully serviced and runs perfect. 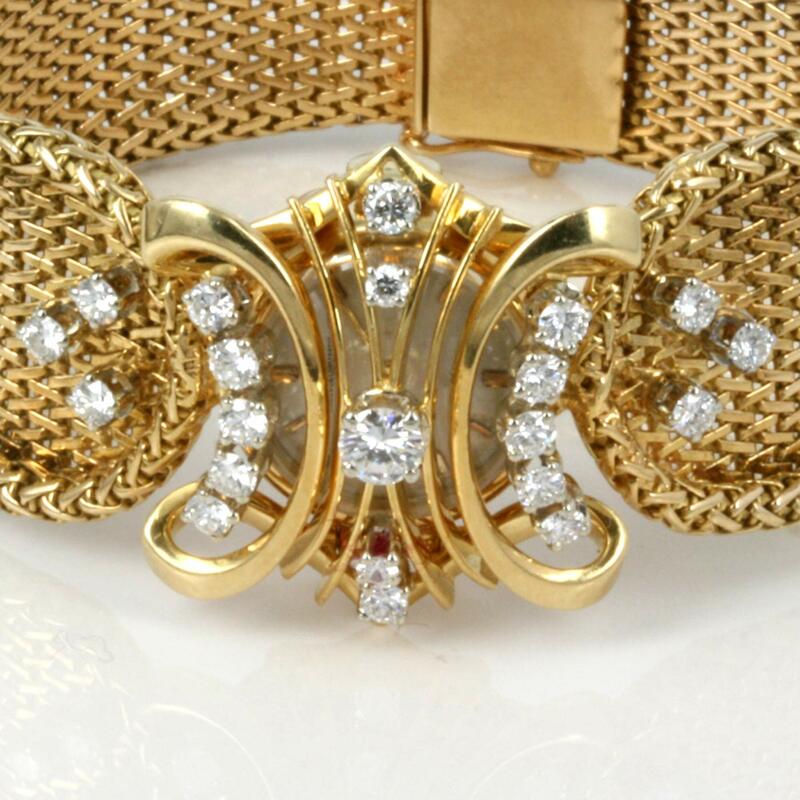 Made in the 1950’s, this is one of the most elegant and stylish watches around.